When it comes to creating a solid foundation, Ryan and Kyla Callahan are more than happy to work overtime in achieving a shared goal. The words are easy to come by for the NHL forward when he speaks of the recently unveiled Ryan Callahan Foundation, the non-profit organization established by himself, wife, Kyla, and his family, to make memorable experiences a reality for kids who are battling, or who have survived, cancer. Kyla’s family has been impacted by pediatric cancer – she lost a cousin to the disease – which was instrumental in the creation of the foundation. 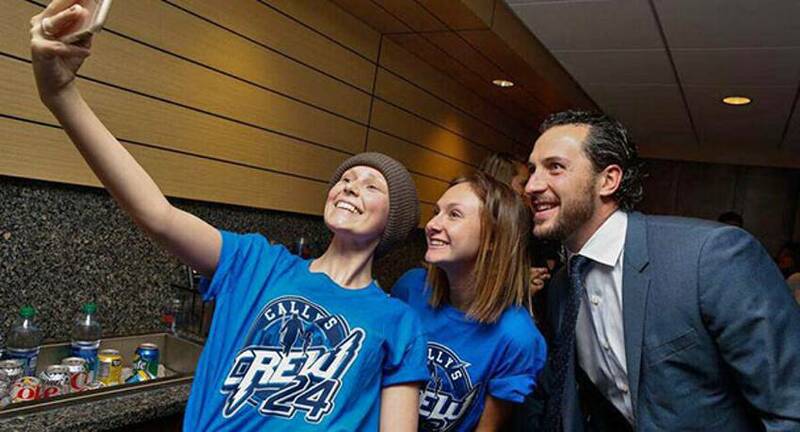 For the 31-year-old Callahan, who came to Tampa in a trade with the New York Rangers on March 5, 2014, the foundation is an opportunity to provide long-lasting memories for children and families who are coping with, or have survived, cancer. One of the cornerstones of the foundation will be experiences – crafted in the same spirit as Make-A-Wish Foundation offerings – which provide selected families the chance to enjoy a special trip or getaway. The foundation is not Callahan’s first charitable endeavour. 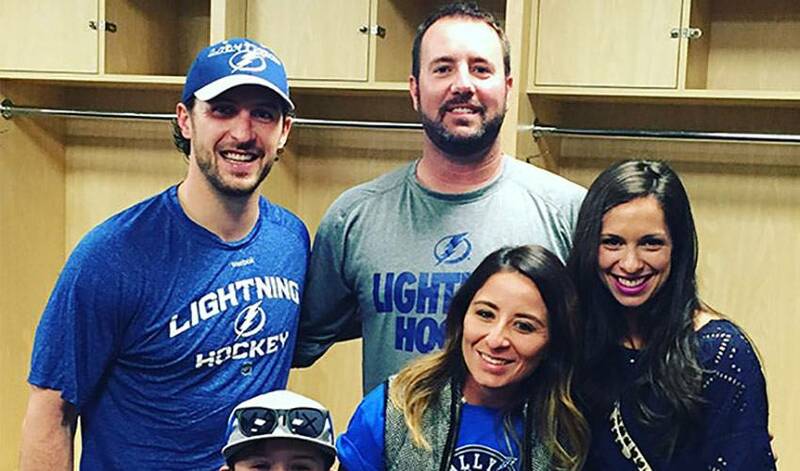 For the past two seasons, his “Cally’s Crew” initiative has brought pediatric cancer patients and their families to Tampa Bay home games, where they watch Lightning games from his suite. Kyla acts as host to the families attending. “My heart lights up when I walk into that room to see new and returning families,” she said. “The kids run up and give me big hugs. This suite has turned into a bit of a counseling session for the parents and in return for me. While the parents sit back and watch their child enjoying themselves cheering on the Lightning, some parents hold back in the suite and pour their hearts out to me. Sometimes we shed a tear together, sometimes it’s just lending an ear, but I listen. I always leave the night with a piece of each family in my heart. These kids leave an everlasting mark on your soul in a way you would have never expected, putting your life into perspective. “Remarkably enough, we have never heard any families members ask, ‘Why me?’” continued Kyla. “Their strength is nothing but inspirational to us, and it’s an honour to give back to our community." “Cally’s Crew” will continue on, even with the foundation now up and running. Support for Callahan’s newest charitable undertaking will come in many forms, including partnerships with national organizations, along with the efforts of numerous volunteers. He doesn’t have to look further than the Lightning dressing room for additional help. Which is precisely what people can expect from Ryan and Kyla Callahan.